Craft Beers and Craft Food. Nashville's first-ever Food Network Southern Food & Wine Festival at Gaylord Opryland Resort gets underway July 31-Aug. 2, 2009 with Food Network celebrity chefs, wine-tasting, shopping, a search for the country's top amateur Slow-Cooker and more. Top features of the festival include cooking seminars and exclusive opportunities to meet celebrity TV chefs Alton Brown, Bobby & Jamie Deen and Pat and Gina Neely, along with demonstrations from four of Gaylord Opryland's Executive Chefs. "We are thrilled to partner with Gaylord Opryland Resort and bring this fantastic food and wine experience to Food Network fans. This is another great example of how Food Network provides a multitude of ways for our viewers to have fun, interactive moments with our stars and our network," said Sergei Kuharsky, General Manager, Scripps Networks Enterprises (a division of Scripps Networks Interactive, parent company of Food Network). 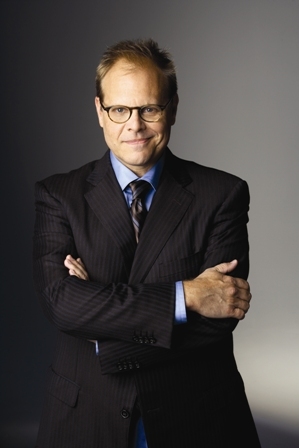 Alton Brown. A long-time friend to Gaylord Opryland, Alton writes, produces and stars in his series Good Eats. He also serves as the commentator for Iron Chef America and will host the new season of The Next Iron Chef this fall. Alton Brown's first book, I'm Just Here for the Food won the James Beard Foundation Award for Best Cookbook in the Reference category and has sold more than 300,000 copies to date. Bobby & Jamie Deen. Hundreds of patrons line up everyday in front of The Lady and Sons restaurant in Savannah for just a glimpse of Paula Deen, but her sons Bobby and Jamie Deen, who manage the restaurant, are now stars in their own right. Pat and Gina Neely. Pat and Gina Neely from Food Network's Down Home with the Neelys own and operate some of Tennessee's best - and most devilishly delicious - BBQ restaurants. They're ready to share secrets from their famous restaurants in Nashville and Memphis along with their tastiest family recipes. COMPETE. Amateur chefs can show off their talents and aim for prizes at the 1st Annual Slow-Cooker Competition. The search for the best Slow-Cooker in the country will be held during a three-day Hamilton Beach-sponsored competition in the exhibit hall at the Food Network Southern Food & Wine Festival at Gaylord Opryland Resort . The first 80 people to register to compete will be provided with surprise ingredients to use as they work their magic, the Slow-Cooker way, toward winning an array of cash awards and other prizes. The recipes will be judges by Gaylord Opryland's Executive Chefs along with guests chefs from other establishments in Nashville. A special room rate is available for competitors. Click here for details. TASTE and SHOP. More than 80 national, Tennessee and Nashville businesses, restaurants and wineries will show their products, provide demonstrations and share samples. A few on the list include Bush Baked Beans, Cajohns Hot Sauces, Francis Ford Coppola, Gallo, Golan Hills Winery, Loveless Café, National Peanut Council, Pampered Chef, Simonton's Cheese, Simplicity Gourmet, The Tea Spot, Wild Tree Organic Foods and the Viking Store. A special wine-tasting section* will provide a fun learning experience for guests who have a passion for the fruit of the vine. There will also be a Food Network Southern Food and Wine Festival retail area with cookbooks, kitchen gadgets and Food Network merchandise for shopping spree fun. Cascades Seafood Restaurant- "A Tennessee Augustation." A carefully selected five-course dining experience featuring preparations by Executive Chef Forrest Parker. Sustainable seafood, heritage meats and locally sourced seasonal ingredients paired with Tennessee libations. Aug. 1. 7:30 p.m. $125 per person. Finley's Irish Pub- "Craft Beers and Craft Food." An afternoon of sampling 5 craft beers with local and national producers paired with 5 pub-inspired courses by Executive Chef Brian Owenby. Aug. 1. 1:00 p.m. $65 per person. Volares Ristorante- "An Evening with Lucianno Castellio." Join us as Lucianno Castellio from Banfi Winery presents a tasting-tour of Italy sharing his wines as paired with the cuisine of Executive Chef Jason Kroll. Aug. 1. 7:30 p.m. $125 per person. For reservations for the dining events above, please call 1-615-231-9101. PARTY FOR FREE. A dash of summertime fun to the festival weekend with Gaylord Opryland's simultaneous free Summerfest activities which will be underway. Kids eat and stay free with adult hotel guests who are dining. Free Poolapalooza concert Friday night 7:00 PM Cascades Pool. Delta Island free nightly line dance lessons with DJ and free fountain shows choreographed to country music. There are seven different levels of packages available for the Food Network Southern Food & Wine Festival at Gaylord Opryland Resort starting at $135 per person**. To make your reservations call 1-888-999-OPRY or go to http://www.gaylordopryland.com. Gaylord Opryland Resort would like to thank Food Network along with festival sponsors Artisan Group, Bush's Baked Beans, Hamilton Beach, Nashville Lifestyles, The National Peanut Council and WSIX . *There will be a per person fee of $15 for wine-tasting. **Per person based on double occupancy and availability plus tax, daily resort fee and parking. Entertainment/artists and pricing subject to change without notice. Some events additional admission required. Atrium Garden, add $65 plus tax per night. Extra nights available at prevailing rates. In applicable packages, meet and greet must be used for corresponding chef event. Restrictions apply.